Do you work for Shopify? "Literally everything you need for a store or online store. The website, inventory tracking, tec." I just like how it is so complete. It provides everything I need! The website, inventory tracking, payment processing! It works both for online sales and POS and the inventory amounts are all synced. Really high quality as far as I am concerned. I wish it was cheaper for when you don't have very many sales but the price is actually not bad. Not a lot negative to say. This is such a standard and complete software, it is hard to beat. Pay attention to their customer support hours. The reason I chose Shopify is that they have 24/7 report so it works if you are starting it out as a side business. You don't have to take time from your day job for a customer support call. It makes the website and I always know exactly how much inventory is in stock so people don't buy it if I am out. It basically is the whole business in one little platform. Learning about Shopify? We can help. "Still the best value for money with loads of options." Shopify is a great platform for folks who are starting out and experienced sellers as well. The pricing is outstanding and the support it top notch! I use Shopify for two businesses I own and in both cases I like the ease of building the site and the customization options both in terms of shopping cart features as well as elegant pages for blogs, news, and general information. One of the best features is the newly improved home page where you can view a snapshot of what's selling, what people are looking at, the referrals (where they are coming from) and so on. I can get a good idea if I put an article on Facebook or a short video on Youtube what the impact was by referral information. Some of the add-ons from independent developers are a bit pricey and you can easily get too wrapped up in working on the site instead of marketing. Besides that I find that the APPs need to be vetted a bit more -- some of them are buggy and I find as a user I am spending time trouble-shooting an APP rather than using it. But over all the APPs are great. Use one of the FREE templates to start, get things rolling and THEN decide if you want to buy a custom template. Focus on the quality of images for products and video information. I sell both physical and digital goods on one site and use the other more as a visual catalog for clothing I sell to retailers. So my needs are diverse and Shopify handles both without a problem. I will say what makes me successful on Shopify, though -- like any site (including Wordpress, Wix, etc.) is excellent graphics and well written content. I don't write content on Shopify -- I first write it in a document and then bring it in. I collect my images before I build the page. A common mistake a lot of users make is to use a pre-made template. This is a disaster because those templates were designed with a specific message in mind-- and its not your message! So whatever site software you use, do yourself a favor and first collect the images, write the pitches and supportive content and THEN layout your own wireframe using the Themes page building features. There are a lot of APPs there to support making it look great -- and this way it will be your message. Everything is ordered and controlled and customers can see all the products offered by the company. "Unquestionably Shopify is the only tool that helps in electronic commerce"
I like that I can manage the customization of the website where I work and Shopify helps me to achieve an excellent job. My boss is satisfy with my creations, but sincerely I have to recognize that Shopify is my accomplice. I love that Shopify provides me easy configuration with each theme that I select, in that form I can modify the website as I prefer. I don´t like that it does not have files Robots.txt for being hosted in Shopify server to reject or to allow that Google can trace the site of the platform. I recommend this platform for better results in your online store. It gives me many solutions to make a great job, for example: I can count with an editor to configure the themes selected and I can have a preview of the work. If I want something with a better design I can solve making contact with some of the Shopify designers. "Shopify is the strongest software"
I like that Shopify offers me many useful things that helps me to produce fruits in my investments in few time. For example: I like it counts with experts in configuration that I can hire to show my products in 3D, in that form I can make more attractive my online store. I like that it has a complete CMS to manage my content and images, etc. It´s amazing! Even it is a complete platform I don´t like I can´t watch what does my clients have in their shopping cart. Something that it is possible with other platforms. Undoubtedly, I recommend this platform because it has many things to offer and all of this things will help to raise up any online store. Shopify always helps me to solve any problems with my clients thanks to its blog system, where I can keep contact with my clients. In that space I can publish articles, lookbooks, videos, etc. to make more interactive my relation with my clients. "The use of shopify is the path to Success"
"Good sales and monitoring of each"
"Shopify, Advanced application for the creation of online stores"
The best of Shopify is the simplicity and simplicity that characterizes the entire process of installation and configuration of the store in which anyone without computer skills or programming can perform the process, in case of having doubts about the installation or configuration is always possible get in touch with the technical support of Shopify in which from my own experience I have been able to verify that they pay special attention. Technically the application allows you to make changes in the source code to add custom features but it is not recommended since most of these changes are better introduced through plugins that can be found easily in the Shopify Marketplace (can be accessed from the same dashboard) , in this marketplace we find applications of all kinds, some free and others with additional cost. The trial period and the monthly subscription I think should be improved, it is not possible to test the entire product if the trial version requires payment of the subscription to be able to use all the features offered by Shopify, I think the trial period It should have no limitations. As a user and administrator of Shopify I always recommend taking our clients into account when setting up the website since the design must be in accordance with the content of the store, so I recommend that you choose the theme of your site with a lot of watch out. I also recommend that you look for additional plugins that can be useful in the marketplace of Shopify since many of them can help you simplify your work considerably. I am in charge of the creation of websites for our clients, these people often commission the creation of online stores that I personally make using Shopify since it allows me to have the store ready in less than a week, this the customer thanks a lot You can start running your business in a very short time. It is an online store that allows me to show all the products that are offered besides selling them in an easier way and having a more orderly control of each order they make with a personalization and image of the company that reflects the quality of what is sold. "The flexibility of the platform"
The flexibility of the platform, which uses user interface themes and applications for front-end and back-end features and options, as well as the widespread adoption of the Shopify platform by developers and merchants, make it the best choice for most business cases. The Shopify team has been reinvesting all of its revenue back into improvements and expansion of the platform for several years, everything that has been a problem in the past has finally been improved or fixed. For our cases of size and color variants there have been some usability issues about how the images and image galleries of the variants can be configured and linked and this can be improved. With the ease of automated marketing and free training material, we are always one step ahead of the competition. We have a global and company-specific point of view to better understand trade, orders to adapt our products and sales. "Shopify, the best ecommerce platform"
After 3 and a half years using Shopify I think the best thing about this service is the facilities it offers for inexperienced users when creating their own store, not only is the application easy to use, but in the points where it is not so easy you can always contact the technical support that is willing to help you. Of the service I would highlight the third-party applications of the Shopify marketplace, some of which are free, but most of them are of high quality and very useful to improve the functionalities of the store according to our needs. The plugin that has been most useful to me personally has been "SEO Expert", a plugin that allows you to manage all the SEO of your store in a simple and intuitive way. The price of Shopify is not only the subscription but in some cases we must add the necessary plugins for our store, I personally understand that the quality must be paid for what is not a negative thing for me although I understand that for other people it can be . To improve the performance of your store I suggest you visit the marketplace of Shopify and search plugins to improve the SEO of your website and also to analyze purchasing statistics to analyze which products are more successful and you can boost that sector. After having used several products (most free) I realized that I lost more time configuring and editing source code of the application than selling products so I decided to try Shopify even though it was paid, now the situation is reversed, I dedicate myself more to sell than to configure since with Shopify all the configuration is done through a dashboard. I do not want to write anything that displeases me about this platform, its service has been excellent, there are always there when I need them and the platform works correctly to what I was really looking for to distribute the products more easily to all the clients that contact us. "Probably the best software to create a store from scratch"
I think that Shopify is the best software to create a store from scratch because it offers many facilities for the creation since most of the process is automated through its installer. Once the process of installing our store is complete, in which we only have to enter the information requested(like the name of the store and other stuff). Once the store is installed, we will move on to the advanced configuration that will shape our business, the next step is to introduce stock in our store, which is very easy since the only thing we have to add are photos of the products, names, descriptions and price, after that we must configure the payment methods which are also easy to add thanks to the facilities provided by the Shopify service. Once we do every step above we can launch our store and start making sales. Some of the options of the platform can not be used in the free version so customers can not get an idea of how Shopify works or if the application is really what they need, I think the trial period should be improved. I recommend that when you are setting up your store you consider adding alternative payment methods since not everyone can use cards or bank transfers, as an alternative I suggest you make use of Bitcoin and other cryptocurrencies. The management of our store is much easier than if we had mounted using another platform like Wordpress, with Shopify we can configure the entire store from the same dashboard and it is not necessary to buy a domain, so you save money and especially time configuring the domain. "Okay Software for a very Basic Store with limited items but can get very expensive rather quickly"
Ease of setting up a store, listing products and starting out very basic. There is a vast amount of apps and support is quick and friendly. You can get a free trial and even more trial time with a referral from a partner company. Very basic software unless you shell out a lot of money. Basic functions are not available and have to be purchased with the use of an app. For example, shipping can only be specified for the whole store, you cannot charge a different shipping price for different items unless you spend at least 15$ per month on another app. Also, SVG is not supported and support is not willing to assist in setting up SVG icons for your store. Customization is very basic unless you hire a programmer. In my opinion, the liquid language is difficult to learn for even basic tasks.Very expensive to upgrade and the plans escalate rather quickly. When you add the need for all of the applications, it adds up very quickly and can cost well over what you initially make, especially if you are just starting out. Make sure that all of your needs are met with one of the plans and then ensure that there is an application that will cover what wont. Also incorporate the price of the apps with the cost of shopify. Needed as store set up quickly with a lot of options that I needed. I realized it was easy to set up but hard to get going the way I needed it to and the way I would benefit the most from it. The benefits are not greater than the hindrances, however. "The best way to set up an online store"
I think that Shopify is the best application to set up an online store since it offers a large number of tools implemented in the application that allow to offer service just hours after the creation of the domain and subsequent installation of Shopify. It also has external plugins (some free) that extend the functionalities and improve the user experience. Unlike other similar applications, the configuration of the payment gateways is very simple, we simply have to fill in the necessary form with the corresponding data and enter the API key where appropriate. Shopify is also very popular as an online store to offer dripshipping services that consists of offering products that do not have stock personally but exist in other stores, in this way our store acts as an intermediary and only obtains a percentage of the transaction as profit . I have not found anything negative that can be said about Shopify in the time I have used it, at least for its software, but it is true that prices are somewhat high at the beginning when there are no benefits. A free trial service should be offered during the first three months as some similar applications do. For people looking to create a dripshipping store I recommend the AliShip plugin that allows you to import products from AliExpress to our store and generate profits for each sale without actually owning stock. In general, I recommend paying the most advanced subscription if your store has a lot of daily traffic and a high volume of sales. With Shopify, buying a domain to set up the store is optional, so just paying the monthly subscription we have the right to a subdomain in Shopify. This is one of the reasons why setting up a store is so simple since the application simplifies the entire installation process and we only have to fill in forms with the necessary information for the store and the stock. "come online with Shopify, your business partner. " The most I like about this application is that I can sell the products I need in one place. It is also ideal for selling products that I no longer use at home, or in my companies but for other people if they are useful. I can also find any type of products you need. You do not have to be an expert to use it, it has easy affiliation and it is very easy to use. It is a very famous application, and recommended by its users, as long as you buy from a seller or buyer with a good reputation you will have good results with your shopify activities. Well I think the only thing I do not like about this application is that you are totally dependent on the user being interested in the type of product, and that other users are also looking for the best purchase option in my digital store. to increase the value of the product, because you must start with a low cost to get the attention of, the users. When we buy products that are very far from your location, shipping is usually very expensive, so it is advisable to look for a nearby address, so that the shipment does not generate large expenses. I recommend it to all those people who want to sell and buy products that they no longer use, or need at a fair price, shopify is ideal for all those English speakers. It is also ideal for people who are dedicated to collecting items. It is a page that offers a variety of products, you can find any product you need. Sambil Margarita is a commercial center with a lot of sales field, but Shopify helps me reach a very wide market, where my clients and anyone can access my products. It has been very beneficial for my business since I am dedicated to the sale of portfolios and on eBay I can sell at an excellent price, my clients have the facility to auction my products and I get the profits for selling my products. What benefits generated in my company can I sell all over the world, and vice versa. Also, I do not need to advertise my business, since it is the same people who find me by category, and auction my product. From my physical store, I can attend my virtual sales, quickly and safely. "Shopify, the easiest way to create a store"
Shopify is an online service that helps users to create their online store offering a pre-built system in which they should only be responsible for configuring and customizing according to the user's preferences and what type of store they need for their sales business. With the help of Shopify it is possible to create an online store completely and 100% functional with only one day of work. The user who builds the store is only responsible for importing products, configuring payment gateway and the theme of the website. One of the best features of Shopify is the shopping cart and its payment process because once configured it is possible to offer dozens of different payment methods so the user can make the purchase just by making 3 clicks of his mouse. The shipping system works in a very automated way as well, since through external applications it is possible to handle the management of shipments through tracking numbers. Although it is a very complete application and almost everything can be configured through the dashboard, sometimes you have the need to make changes in certain parts of the code to which you do not have access if it is not through plugins, so you must resort to Look for third-party software that is not always free. I highly recommend that if you use Shopify, you should subscribe to their service to enjoy the full experience and without limitations, especially I recommend the subscription if you are a user with little experience because the technical support is preferred if you buy the monthly license. Some of the projects in which I work try to create an online store and I use Shopify to carry it out, since it allows me to create the store in a quick way, which benefits the client that can have your website in less than 1 week. functional. In addition, due to the easy management of Shopify, customers can manage their store without help. "So far, my experience with Shopify has been great"
Shopify is a great tool for whatever level of online selling you need to do. Whether you are just getting started and need a very small online store or you need a larger store with more organizational ability, Shopify has features that accommodate those needs. For my personal artwork store, I have the ability to add individual products into my own website so that customers can make a purchase without ever leaving my site except at the payment portal. This is a great advantage for me to be able to sell prints and other items through my website. The best feature of the Shopify back-end for me is the fact that it automatically calculates shipping for me once a client has entered their information, and all I have to do is just print the label. It took me a while to get used to the interface and how it works in order to create a button. I also wish there were more detailed or even completely customizable settings options for the individual sell buttons and the font with regard to size, color, frames, etc. I have figured out how to go into the code and make the changes for my buttons, but it would be really nice if those features were plug and play without having to code. If you are looking for a quick and straightforward way to begin selling online, Shopify is a good option. It has different levels of functionality depending on your needs. There is bit of a learning curve, but it is a great way to really economize without compromising quality. I was able to set up my online art shop fairly quickly through Shopify, and since I am also a web designer I have also set up shops for my clients. It has made especially the shipping aspect of selling a breeze, as it automatically calculates that for me and all I have to do is package the item up, slap a shipping label on it, and drop it by the shipping location. That is by far the BEST thing for me because it keeps me from having to calculate all of that on my own. "Almost a year of usage." Everything is quite simple and easy to use. The Shopify subscription really pays for itself. The SEO is already builtin and the reporting is quite useful. One of the things I like about Shopify is the code they use - LIQUID syntax. The file structure within shopify is pretty good when you need to edit the coding for your site. It is labeled in a way that it makes sense to someone that does not no coding at all. The liquid syntax used is also very great since it takes less time time code a line. I would recommmend people to learn the liquid syntax when possible. Some of the most basic features that should be in an e-commerce backbone are not included unless you pay for an app that usually requires you to pay a MONTHLY fee. You cannot delete orders either which means that if there was a mistake it will be on there forever. You can not unfullfilled an order even if you fiullfill it by mistake. It is very well worth it to invest in this platform. "Shopify the best platform to build your store"
The simplicity that characterizes Shopify in general since every aspect of the product, Shopify is created so that anyone can set up their own store having knowledge or not about programming, also if you have any problem and you are subscribed to the service by monthly fee you can contact Shopify support and be attended to solve your doubts. In my experience they helped me a lot to manage certain aspects related to the marketing of the application for my company. The external applications are the best that Shopify has and is that thanks to this applications we can build a very professional site that allows to do almost anything. There are all kinds of applications, free and paid, others that allow you to import products from eBay or Aliexpress just by adding a link. -Although Shopify is very easy to use and it is possible to set up a store in a very short time, it is also true that setting everything up so that this perfect takes much more time really. -In the beginning it may bother a little that the application is by subscription but once you have set up your shop and tested the product you will verify that the application is worth every dollar. The application is highly recommended for people with little knowledge and who seek to create a store easily and effortlessly. This type of person will find in Shopify a very powerful and easy to use tool so that it is possible to create a store in just a few hours. Manage a store with this application is very simple since 99% of the changes can be made through the Shopify dashboard, marketing is very easy also because there are applications that can be connected with other advertising services. Using Shopify I can manage not only an online store but also connect it with external applications that allow me to hire marketing services to advertise the web and thus be able to attract more customers. "Professional Looking Shop without having designer skills"
I have no idea how to code or to set up a website. This has been so much fun to watch my idea become a shop with very little skill on my end. I have a fun product, just didn't know how to get it to the people. Shopify help desk has been great and there are so many informative videos that they have made to help cottage businesses like mine. Having to put the apps on using code. They walk me through it but it is sometimes a bit overwhelming. I have never done coding so just seeing that I have to read through it sometimes to see where to insert an app, is a little terrifying. I am so afraid I will mess something up. I chose Shopify over Etsy because I want to own my own business 100%. Etsy is great and I love to shop there but Shopify allowed me to 100% control my business. The shipping discounts are wonderful. I was loosing customers on my own trying to ship full price at the post office. Now I can just print out of my home and the buyers get the discounts passed onto them. I can also add my own discounts which I really like. The best thing to use Shopify as your online store manager is that you can have as many stores as you want and also manage them is very simple since everything is done through your administrator dashboard, although it is also possible to use external plugins to perform tasks such as of support in a much more complete and personalized way. What makes this application so useful in addition to its ease to create all kinds of stores and for any person is that it is possible to enter a marketplace of Shopify in which to find many themes and plugins that will make even easier even our management of the store. -Don't like Shopify is the subscription model because in my opinion it is somewhat high price. The Shopify application is highly recommended for all types of online stores, but especially for those people who do not seek to create stores by modifying HTML, PHP or other programming code, the goal of Shopify is to set up stores quickly and easily for all types of users. Using Shopify I can set up as many stores as I like (paying the subscription) and use each of these stores for a different theme so that the work can be organized to subsequently distribute or outsource the service or even sell the store if necessary. Also with the use of this application saves a lot of maintenance time to be virtually automatic in its configuration and management. "Shopify: The best eCommerce creator." I really like to use this platform, it has many advantages unlike others, one of them is the ease of creating websites dedicated to eCommerce, the truth is it is very easy to create a very complete and professional virtual store, I can also add all the Applications that you want to complement the professionalism of my store, you have many tools that can be integrated to the platform. It also gives me completely complete statistics, where it shows each stage that the client performs when online, also has the option to easily integrate the most important tracking codes such as Facebook Pixel or Google Analytics. The truth is that this platform offers very good service for a very low price. This software is excellent but it has some disadvantages, one of them is that it is a little complicated to make a blog, since the platform is designed for eCommerce websites, it does not have a completely complete special section to design your blog and manage it, it shows you features similar to ecommerce stores, the only option is to create a subdomain and make the blog there using another tool like WordPress to manage it more easily. Another disadvantage is that they charge commission per sale and also the processor you use. But still it is still profitable to use this platform. If you are looking for a place where you can create your virtual stores in the most professional way possible, use shopify. It will give you the best tools for the optimal functioning of your virtual store, it also has many metrics and traffic tracking systems that you need to know. This is totally important for all of us who work with digital marketing. It will also be very easy to integrate other platforms to Shopify to work even better. Shopify has helped me a lot now, it has helped me to create my virtual shop much more professional, before I looked for programmers who would create projects for virtual stores, it was always very difficult when managing the content, it was complicated and I did not do well with That, when I started using Shopify, really helped me a lot, its totally intuitive interface to learn more, it has many developed functions and very professional themes for all kinds of online stores. "Create stores in a simple way"
What I like most about Shopify is the ease with which you can create online stores with just a few simple clicks and in a few minutes. Another important factor that I love about the platform is that it allows you to integrate the store with many social networks like Instagram, Facebook and big markets like Amazon. Many of the applications that can be installed inside the store and are really important to automate the delivery of products are very expensive, which makes it difficult to automate the online store. I can recommend the use of this platform to any person or companies that want to automate and increase the potential of selling products or services online. Shopify has solved many problems in the creation and optimization of our online store. The optimization for mobile devices is impressive and the ability to integrate different applications within the store that facilitate and automate the operation of the store they are great benefits that it has. "Shopify is the best ready-to-use e-commerce platform"
It's really easy to integrate different applications and tune up your store. The thing is that some of the applications are very cheap and very easy to implement because they are made for the platform - that's the true beauty of Shopify for me. Custom platforms are the best way to do it when only you are ready for the investment they require, and I, who have over 6 years of experience with website management, would definitely not recommend that company, especially if you are a beginner. You cut very significant costs and just pay the subscription, a whole building of developers hired by the company Shopify to improve the platform. More functions are needed for the plan below the company. Purchase code and shopping cart code easy access and customization. Shopify Platform-Integrated Emails Panel is an essential change, must be added. It should also be able to synchronize with email marketing software like Klaviyo, Conversio and others like Mailchimp. The only feature between the second and third plans are abandoned cars and there is nothing better than what email marketing applications offer, and, considering the higher investment, I bet that most of the stores in this plan do not use the Shopify-integrated one. This has allowed us to help customers who want the customer service added by us to create the product for them. The use of Shopfiy for retail management has been an incredibly wise decision for our business model. We operate both an online store and a retail store, as well as a mobile retail store when we attend events. 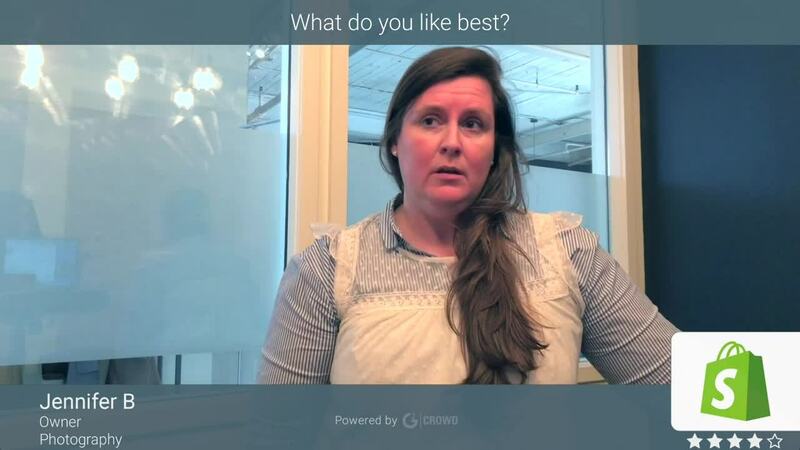 Shopify's flexibility to meet these three requirements has been unsurpassed. The system has allowed us to have more frequent promotional sales, highlight retail items with special prices for inventory clearance and allow special discounts. Inventory management capability has allowed for much more accurate inventory control and reordering of retail items. This list of things we like goes on and on. The only disadvantage is the monthly cost of this software. We receive a nonprofit discount for the monthly cost, but a lower cost would always be beneficial to the organization, as well as lower processing fees, but their fees are more or less the industry average. Please note the limitations of the product variants. If you are a very large company, explore your options before selecting Shopify. If you want to be able to manage your own ecommerce solution completely or if you are a startup, choose Shopify without hesitation. I solve a lot of problems with Shopify. I have no technical or design experience to make an online store, but thanks to Shopify I can now make an online store without hassle. Shopify has many advantages, I don't need any web designer or developer for my online store. Shopify is so user friendly and makes it easy to get started building your store. I like that they provide all the tools necessary to start, grow and manage your business. They offer shopify academy so you can constantly learn how to improve your business and as a small business any information to help you improve is extremely valuable. I also like that they help get you started when building a website by making the homepage easy to create, especially if you’re not a website designer/programmer. I dislike that shopify provides so many apps to add into your store because it slows your website down and it would be better if they provided those advanced functionalities instead. Shopify has allowed me to start my own business with just a few clicks. They make it extremely easy to begin, and offer tons of support and tools to guide you through everything and help you thrive. I’ve realized the benefits of being self sufficient and not having to pay for outside help, at least for now, because shopify teaches me basics of everything I need to know.
" Shopify: The eCommerce revolution." Shopify is not only a creator of e-commerce websites, it is a platform that integrates all the features for the proper functioning of an eCommerce, is simple, simple and totally complete, allows users who do not have as much experience in the development of an website have a virtual store with professional features. What I like most about this platform is that it allows me to integrate my online store with many popular channels, such as Instagram, Facebook and large markets such as Amazon and Ebay, it allows access to very complete statistics, as well as the easy integration of Facebook Pixel. and Google Analytics, increasing my statistics and giving me the opportunity to create similar audiences in Facebook Ads or retargeting in Google Ads or Facebook Ads. As every platform is always going to have something bad, in the case of Shopify is the integration of the payment gateways to the online store, the only payment gateway that is correctly integrated into the online store is Shopify Payments, that is, that is shows on the checkout page to enter the credit card information without going to another tab, the other payment gateways such as Skrill, 2Checkout and others must be redirected to another tab to complete the purchase of the product, this can reduce the conversion rate. Another weakness of Shopify is that when changing the theme in the store the content is not automatically reformatted. If you are looking for a platform capable of integrating all the major sales channels that exist today, shopify is the right one, this platform works excellent both for users who do not have knowledge in the area of ​​web development and for users with high conomiento. In addition you can keep all the inventory organized in a simple way, the topics are very professional and with an extremely intuitive interface. Shopify has solved a lot of problems for me now, it allows me to integrate all my favorite applications in just a few seconds, also the themes adapt very well to the mobile version, this is very important since most of my traffic is mobile. They have an automation system for emails, they even have abandoned cart recovery which is totally useful since 7 out of 8 buyers leave a website without completing the purchase, this is saving me a lot of money since with an email strategy marketing I can recover those customers. It has helped me a lot to organize my inventory, since they have an excellent automated inventory system that allows me to keep in order both the inventory of my online store and the inventory in my physical store. "A versatile and stable online store platform"
Shopify has most of what we need to not only create shopping carts, but entire websites. The designs of the templates and customization capabilities and excellent. The fact that so many reputable, popular and successful brands out there use Shopify gives me very high confidence in them. The clear instructions, menus and labels in the Shopify account makes it easy for almost everyone I work with to go into the account and make changes to the store design and inventory. There's isn't as much flexibility in the Shopify as there is with more of a pure web host and domain registrar. We can't work with supplementary code, databases and server settings the way we can with a traditional web host. The overall cost of using Shopify is higher than if we were to use a content management system at a traditional web host. For structured websites with very smooth online shopping and payment processing capabilities, Shopify is one of the best platforms. However, if you want to run a significant amount of custom code, it's probably not very ideal for that. Shopify gives us the ability to quickly create professional websites with reliable performance and payment processing. Shopify's technical support has helped us to resolve issues related to particular website configurations. We don't have to spend much time looking for solutions to problems online, even though there are many resources for us to do so if we wanted. "Shopify is the most used platform"
Our company decided to expand its sales system, from a physical store to an e-commerce. And the platform that accomplish our requirements was Shopify. What we like the most about it is that it has great resources to manage our content. It also provides us security, so we consider it the best sale channel. Although it is an excellent platform, comparing the prices of its services with other platforms, Shopify is a little bit expensive. We do not like that. I love this software; it is easy to use and provides many advice and suggestions to use the system completely. Shopify counts with a variety of resources in order to have the best administration of the website, it gives us the opportunities to expand the levels of our sales, giving the clients a better and faster system of payment. This has been a great solution for us. What I like most about this tool is the ease to create your own store in a matter of hours, most of the creation process is very simplified so we only have to configure configuration fields and install necessary plugins to implement new functionalities in the shop. 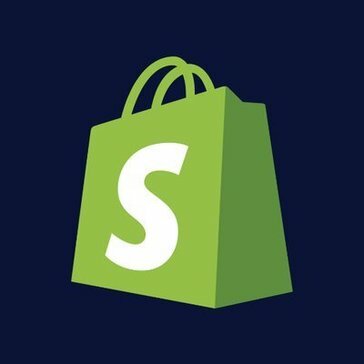 One of the biggest advantages of Shopify is that it is an application with a very extensive community so it is very easy to find information about any problem and solve it, even if you can not find it you can contact the technical support of shopify to help you to solve it, personally I have only contacted them once but they were quick and very useful to solve my problem. What I do not like too much is the monthly fee to use the shopify application that is independent of whether your store is successful or not, personally I would prefer that they offer a free period that allowed to use the store without any cost until the store generated benefits. If you are a novice user with little knowledge of web services and programming, I recommend you use Shopify, since using the configuration wizard of the application it is very easy to set up your own web store in a matter of hours. You can also use the first free month to learn the operation of the application and the store. I have been using Shopify as part of a project that resulted in the creation of an online store, my position was focused on the promotion part of the store so I could see that the tools that shopify has in this aspect are very useful, especially those that help us attract customers to the store through SEO.